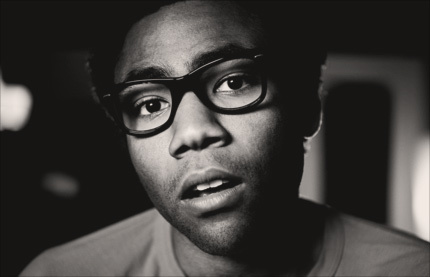 Under the moniker of Childish Gambino, Glover makes clever hip hop music with an added lyrical wit and humor. Donald Glover first started getting attention with the sketch-comedy troupe Derrick Comedy. Since then, he’s served as a main-cast member on NBC’s Community and writer for 30 Rock. I'm posting this cause I found it hard to believe this comedian could actually be a respectable rapper too. Check out one of his songs below and let me know what you think. The music is good. I am not sure about the lyrics. I am a fan of IT =p. I like him in Derrick Comedy, didn't know he could rap too. O: He's actually got some pretty good flow. wow. a great rapper and a great comedian. what a potent combo. he came out and did a few songs, and they were gooood too. Did not knew this, he is pretty good aswell! Wow, to be honest, I never even seen 30 rock or the community. Very nice video regardless! cool i didn't know he was a rapper. pretty good too. Wow, that flow was nice ! wicked, I really like the style! Actually, after rewatching it it won me over.